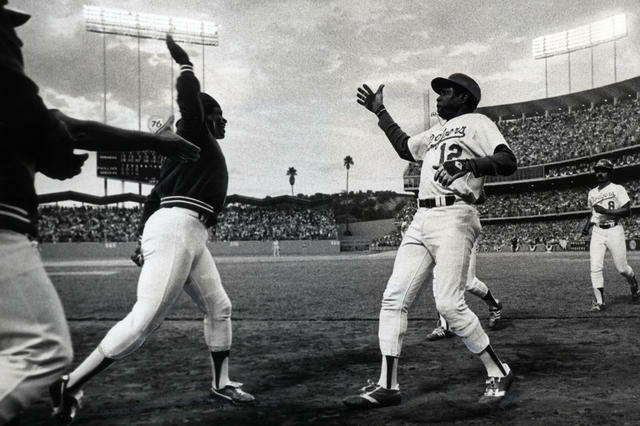 1The Los Angeles Dodgers invented the high five. "I can't keep up with them now," he said. "They do the boom, boom, the booty, something, something. It's like, 'How do you guys keep up with all this stuff?'" 2Foresthill Bridge is California's tallest bridge. 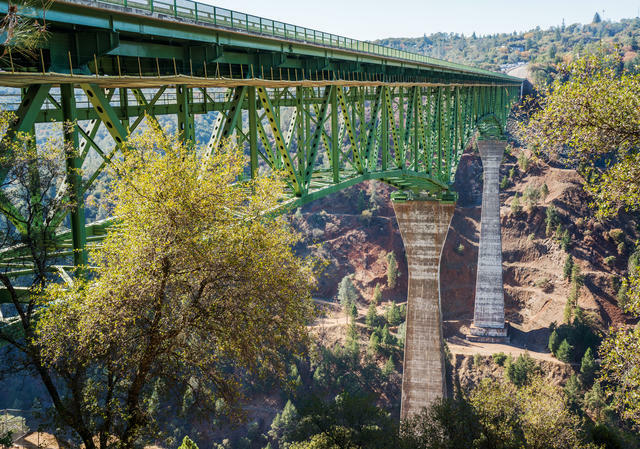 Straddling the American River near Auburn, its deck rises 730 feet above the water — about triple that of the Golden Gate Bridge. Still, the green giant remains a lure to filmmakers and daredevils. Last week, three men were arrested after leaping from the bridge with parachutes. 3The Frisbee was invented in the Golden State. As a teenager in 1930s Los Angeles, Fred Morrison had tossed around cake pans for fun. Later, after serving as a pilot in World War II, he created a series of flying disc prototypes. 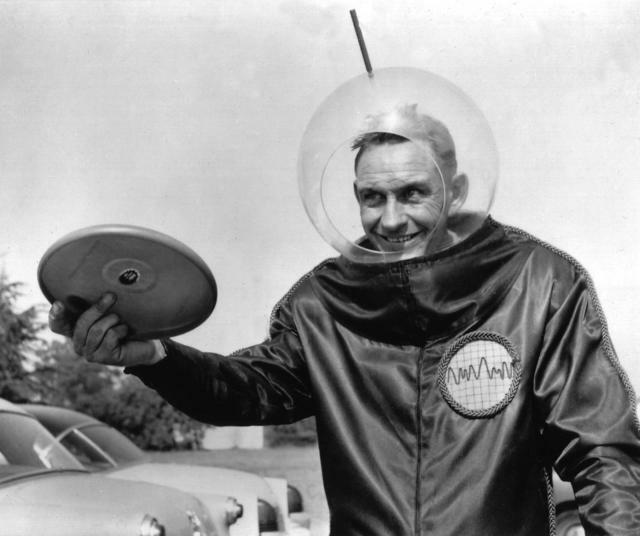 He sold a plastic version called the Pluto Platter to Wham-O, which rolled out the first batch in 1957. The company renamed them Frisbees after the the Frisbie Pie Company in Connecticut, where college students made a game of tossing the pies’ tin lids. It became insanely popular, spawning full-fledged sports, as players fell in thrall to the truism once uttered by Albert Einstein himself: It's simply a beautiful thing to watch a disc fly. 4California's capital city, nestled along the Sacramento River, used to be routinely flooded. So in the early 1900s, engineers developed an ingenious system of weirs and bypasses that would reduce pressure on the swollen river by diverting flows around the city. The star of the system is the Yolo Bypass, a 90-square-mile floodplain on the city's western edge that happily doubles as a wildlife preserve. 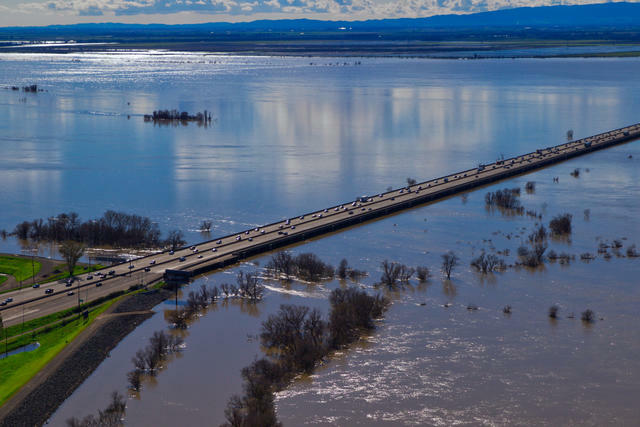 During the heavy rains last year, flood gates along the Sacramento River were opened for the first time in a decade, filling the bypass. (Here's a helpful simulation.) Motorists along a highway viaduct that crosses the floodplain had the sensation of driving above a massive inland sea. 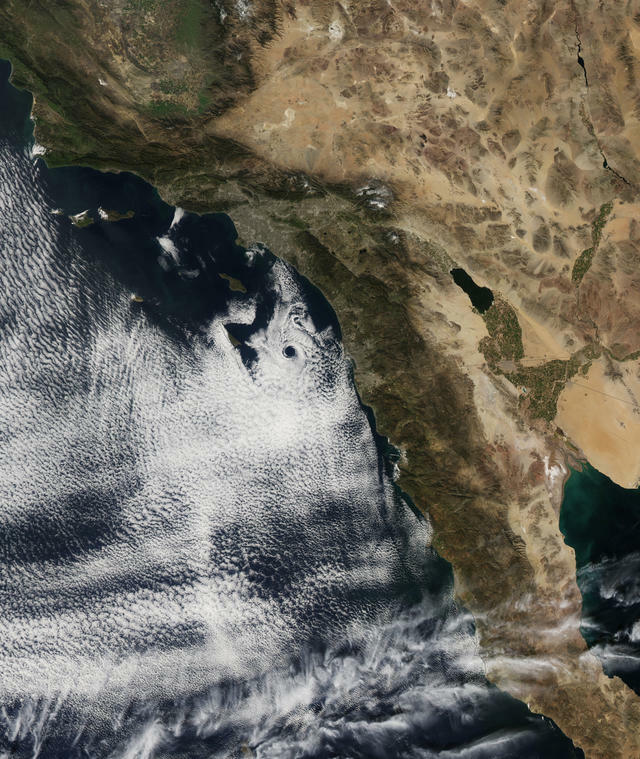 5Every so often, an epic whirlpool of clouds forms over California's Channel Islands. A number of factors converge to create what is known as a Catalina eddy. The eddies can form anytime, but occur most often between April and October, peaking in June. They contribute, as you may have guessed, to the dreary Southern California phenomenon known as June gloom. 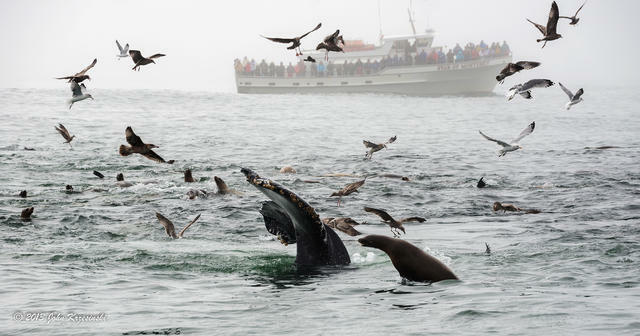 6Monterey Bay National Marine Sanctuary is among the world's most diverse marine ecosystems. 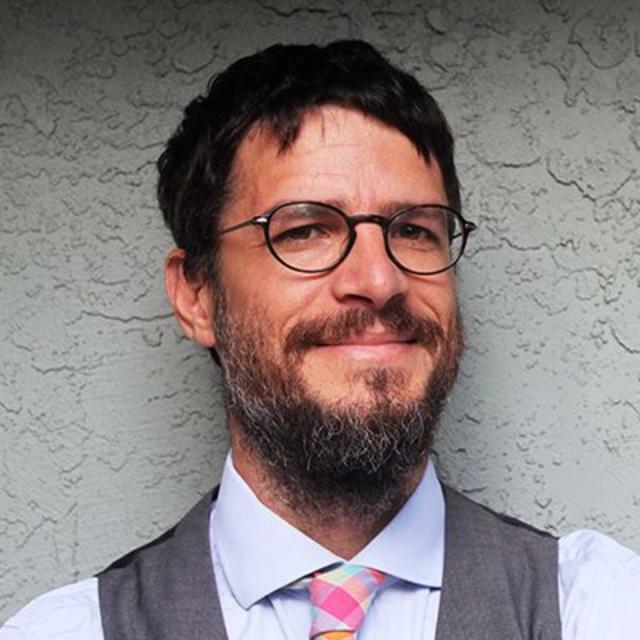 A researcher told the S.F. Chronicle that the creatures could have sprung from the imagination of Dr. Seuss.